6 posts categorized "Home Decor"
Here is the Painted Petals Picture Frame from The Stamp Review Crew Hop. If you missed out on the hop you can visit my post HERE. This is a fun gift idea I created to celebrate Spring! The Painted Petals Stamp Set is perfect to create works of art that look like they have been water colored without water coloring! This beautiful Stamp Set is available in wood mount, clear mount and photopolymer. This is also the stamp set featured in my Monthly Rubber Redneck Kit details are at the bottom of this post. * Stamp onto the Wild Wasabi card stock using the Painted Petals Stamp Set; inked in Wild Wasabi down the right side and across the bottom. * Zip the Wild Wasabi card stock through the Big Shot with the Honeycomb Embossing Folder. * Cut out the center of the Wild Wasabi card stock measuring in 3/4" around the edge. * Ink the Dictionary Background Stamp in Daffodil Delight. Stamp off onto a piece of scratch paper and then stamp onto the Whisper White card stock. * Stamp the images from Painted Petals Stamp Set; in Wild Wasabi, Rose Red, Daffodil Delight and Blackberry Bliss onto the Whisper White card stock. This month's kit features the Painted stamp set. This kit will make 3 beautiful and fun projects; 2 different designed cards and 1 greeting stand. All three projects focus on the Painted Petals stamp set ONLY. After you purchase the kits or the class you will receive exclusive access to a password protected site on April 24, 2015. You will have access to 3 Mini PDF's for you to download, and 3 Video Tutorials. You can create from the comfort of your own home! *Envelopes are NOT included with the kit. * To view all the details of this month's kit visit my special page I created for it. Click Here for the Painted Petals Kits and Class Details or on the right side of my blog under the links is a page for Rubber Redneck Monthly Kit. Click the Pay Pal Button to register for the Painted Petals Class only. (Don't click the pay pal button if purchasing the paper kit). Technorati Tags: Big Shot, Demonstrator, Dictionary, Holly Krautkremer, Occasions Catalog 2015, Painted Petals, Painted Petals Picture Frame, Rubber Redneck Blog, Stamp Set, Stampin' Up! Some of you been asking for an update on me. Yesterday we spent the entire day in the ER the night before I was in some pretty bad pain and it felt like something ruptured inside me. Nothing had thank god but we still don't know what is wrong. (No cracks from the peanut gallery) All my tests continue to come back fine which is great but at the same time ok what is wrong. I have another test next week to have my stomach scoped now to see if something is going on inside. So that is where we are at. lol It's been interesting as I am not a fan of needles I've had to have 2 IVs which is a HUGE deal for me. I know those of you that know me are cracking up cause nothing scares me but you'd be proud of me I've managed to not harm anyone when they have put the IVs. ROFL Thank you all for the continued support of emails, prayers and calls. My husband and I both appreciate it a lot and are touched by your kindness. Ok enough blabbing about maw onto the good stuff!! Every Thursday in October there will be a new special offer--JUST FOR THE DAY! Be sure you check back every Thursday! This week’s Thank You Thursday is all about punches namely the Artisan Label, Bitty Butterfly, Hexagon, Mosaic, and Pansy Punches. Click the link below to see the special prices!! Don't forget about the WEEKLY DEAL!!! See all this WEEKS DEALS HERE. There is some awesome deals!!! The weekly deals will be offered while supplies last! Stampin' Up! also released a New Photopolymer Stamp Set just in time to start working on those christmas projects!! It is called Endless Christmas item #133455 Click HERE TO VIEW THE PDF. But wait there is more!!! If you place an order on-line through my Stampin' Up! ON-LINE Store and use this HOSTESS CODE : EX6Y7ESF you will be entered into a drawing for $25 in FREE Mercandise your choice!! I will draw for the $25 in FREE Merchandise Nov. 1st. Please Note~ you must use the hostess code to be entered into the drawing this offer is only good through me Stampin' Up! Demonstrator Holly Krautkremer. Today's share I created using the Halloween Banner Simply Created Accessory Kit. Instead of making a banner I turned my items into an ornament. Just another great way to use this acc. kit! I did add a few things that didn't come in the kit to step it up a notch. I created the medallion out of the Designer Paper that came in the Halloween Banner Simply Created Accessory Kit pre-scored and ready to assemble! I added the bat embellishment from the kit to the medallion. I used the Big Shot and Typset Alphabet to die cut out 31 in Old Olive card stock. I ran the 31 through the Big Shot with the Houndstooth Embossing Folder. I attached the numbers to the medallion then added some Rhinestones to the numbers. At the top I added a loop of ribbon and a button that came in the kit. I then dressed it up a little more and added a 1/8 Old Olive Taffeta Ribbon bow to the button. I loved how this turned out with this little kit!! Morning and welcome to the New Year!! I made this Decorated Candle for Stampin' Addicts Monday 3D Challenge. 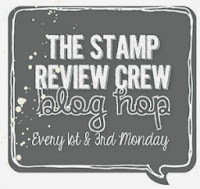 If you never been check it out, it is geared towards Stampin' Up! if your a demo be sure to sign up for the demo forums and then give a shout out to me catrules!! This is a very simple project to recreate. I like to decorate my home and I love candles!! So I dressed up a plain old candle. Please Note~ this is for decoration only don't try burning the candle. Some of the supplies I used from the Holiday Mini there is only a few days left to order from the Mini!!! Shop online for Stampin' Up! Supplies 24-7 Click HERE!!!!!! I wanted my candle to look wintry once it was completed so I went with a Vanilla candle. This is so simple to create that I didn't do a video for it. 1. Pick a candle any size and color. 2. Cut a piece of Glimmer Paper Silver 1" Wide and the length will depend on the candle size you have. Wrap it around the bottom and attache the ends of the Glimmer Paper together with Sticky Strip. 3. I used the Big Shot and the Leaves #2 Die. I die cut out leaves in Pool Party, Soft Suede and Very Vanilla. I did enough to go around the candle. Again it will depend on what size your candle is. I then ran each leaf through the Big Shot with the Vintage Wallpaper Embossing Folder. I sponged Soft Suede ink onto the Very Vanilla and Soft Suede leaves. I sponged Pool Party ink onto the Pool Party leaves. I stuck each leaf on with glue dots. I then ran a piece of 3/8 Very Vanilla Velvet Stitched Ribbon around the bottom of the leaves, I attached the ends with Sticky Strip. I took one of the Spice Cake Designer Buttons (Pool Party) and attached lengths of 3/8 Very Vanilla Velvet Stitched Ribbon that I folded over to create a bow. I used the Big Shot and the Northern Frost Die Strip to die cut out one snowflake in Very Vanilla. I sponged the edges with Soft Suede and then attached to the center of the button. I added a Jewels Basic Rhinestone to the center of the snowflake.I then sprayed the candle and decorations with Smooch Spritz Vanilla Shimmer. 4. For the mat I used the Big Shot and the Scallop Circle Die; I die cut out a piece in Soft Suede. I then ran it through the Big Shot with the Vintage Wallpaper Embossing Folder. I sponged Soft Suede ink all over. Now you have a decorated center piece or to place anywhere. I got the candle at a dollar store. This can be made for any time of the year or to match some of your decor in your home! It also would make a great gift for a friend, coworker and etc. The total cost to create this once finished was $3!!!! Snowflake Bucket; Last Day to Register Early for The Rubber Redneck STAMPede!!!! Today is the LAST Day to Register Early for the "Be Mine" On-Line Valentine Class at the low price of $19.99!!!! That is under $2 per day!!! This on-line class "Be Mine" Edition 2011 is available to anyone 24 hours a day!!! You can join me from any place around the world!! Everyone is welcome customers, and demonstrators!!! Please note everything is in English. Love is in the air!! The Rubber Redneck STAMPede "Be Mine" early registration is now open from December 18th-January 8th, the special early price is $19.99!!!! That is a $5 saving off of the regular price!!! Hurry and register for this "Be Mine Event"!!! From January 8th 2011 and then on the regular price will be $24.99!! Join me for this special Valentine on-line class!! Click the Pay Pal button to register!!! Please note upon receival of payment I will email you January 15th with your username, password and login instructions. If you would like a different email address used instead of your paypal account email please add the correct info in the notes of the PayPal transaction. Starting January 17th, 2011 8am Central Time with your subscription you will get accesses to an exclusive forum and gallery!!! "Be Mine Edition 2011"will be your creative inspiration for all your Valentine's Paper Craft Gifts, Stamp Camps and Classes!! This class will be sure to help you spread the love with your Valentine's gifts and ideas for friends, family, customers and that special someone! You DO NOT want to miss this "Be Mine" event! I've been busy creating and designing 14 days of FABULOUS Projects for you! Each project will have step by step instructions with photos in downloadable PDF format along with video tutorials!! These 14 projects will not be available any where else! There will be 3D items, scrapbook pages, cards, color combo challenges and best of all PRIZES!! That's right, all of this in 14 days for the "Be Mine" on-line class!! WITH NO REPEATS!! Only current Stampin' Up! products will be used in these tutorials. Please note, I will be participating along in the color challenges. Anything I make for the color challenges I reserve the right to post to the public at anytime. Click HERE to check out The Rubber Redneck STAMPede home page for all the details. I picked up this bucket at Target in the $1 Spot last Summer. I knew I would eventually use it! lol I took some Sticky Strip and ran it across the bucket about half ways down. I then took 1 1/4 Real Red Stripped Grosgrain Ribbon, cut one side and frayed it. I then worked it as a ruffled across the tin on the Sticky Strip. I took the Crystal Effects and ran it across the bottom of the ribbon. I then poured Glass Glitter Silver across it. I cut a bunch of little squares out of Love Letter DSP and glued them across the top of the ribbon. I took the Big Shot and the Northern Frost Decorative Strip and die cut snowflakes out in Real Red, Basic Black and Shimmery White card stock. I added Jewels Basic Rhinestones to them and Designer Buttons Neutral. On one end I tied bows out of 5/8 Basic Black Satin Ribbon, 5/8 Whisper White Organza Ribbon, and the left over piece of 1 1/4 Real Red Stripped Grosgrain Ribbon. I added another die cut snowflake to the center and a Neutral Designer Button. This was supper easy and fun to make!!! Thanks for stopping in! Have a great Saturday!